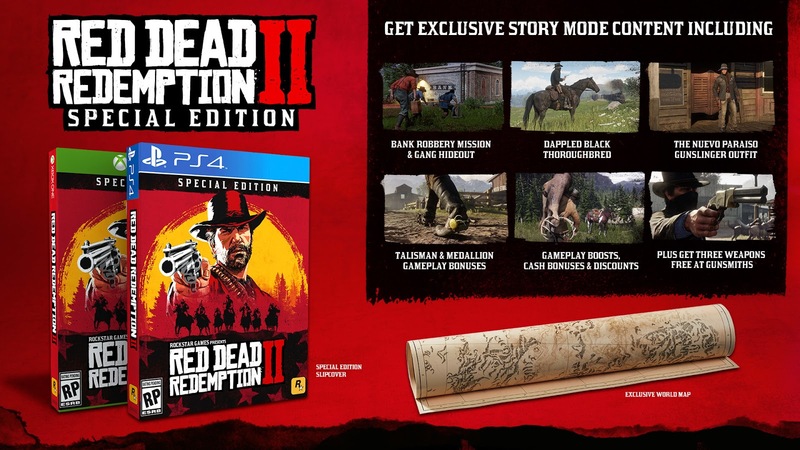 Red Dead Redemption 2 special edition announced .The First of the there is the Special Edition ,which includes several story mode additions and physical world Map . 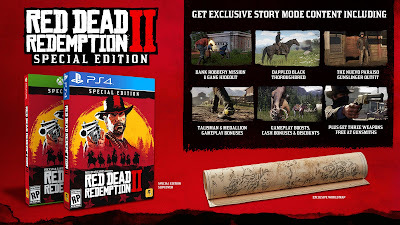 It Includes a bank robbery mission and gang hideout in the story Mode ;a dappled black thoroughbred horse ,tailsman and Medallion accessories to enhance Arthur's skills in game ,Gameplay boosts ,cash bonuses and discounts ,the Nuevo Paraiso Gunslinger outfit and free access to several weapons : the volcanic pistol ,pump action shotgun and Lancaster varmint rifle . 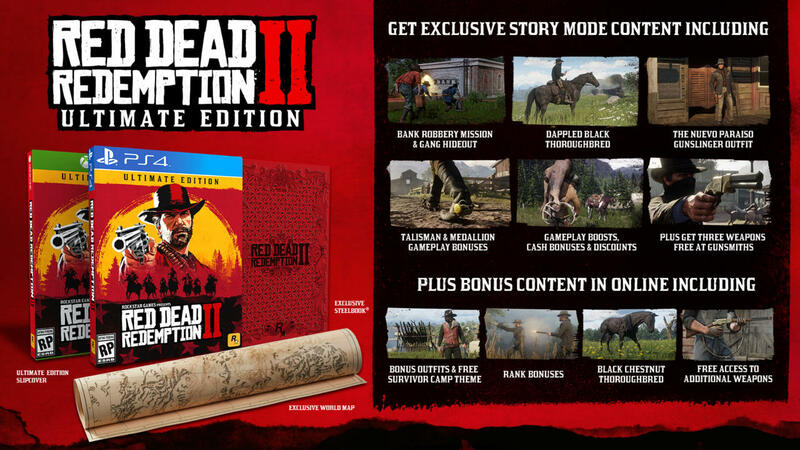 The Ultimate Edition $100 includes all of the content from the Special Edition and more .This version tacks on two bonuses outfits ,the Blackrose Bounty Hunter and copperhead Enforce outfits ,a black chestnut thoroughbred horse with a high plains cutting saddle ,Free access to the survivor camp theme ,and rank bonuses in online play . 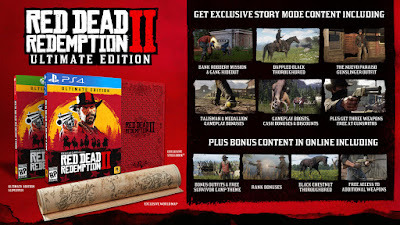 The Collector's Box does not have any digital content ,or the game .It focuses on Physical items from Red Dead Universe . Everything included will come in a metal tithing box with lock and Key .it includes a collectible challenger coin, double sided 100 piece puzzle ,Six Shooter bandana ,Treasure Map ,Pin set,Playing cards featuring illustrated version of Arthur Morgan ,John Morgan ,Javier Escuella ,Bill Willamson and Dutch van der Linde ,a replica of the 150 page Wheeler ,Rawson and Co. Catalogue ,and 12 collectible cigarette cards inspired by the ones that can be found in game .